Dory won the hearts of fans worldwide in 2003’s Academy Award®-winning Finding Nemo. 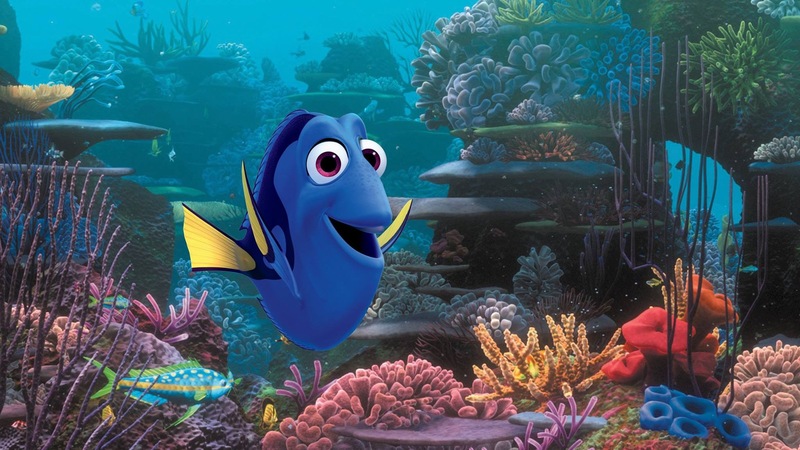 This summer, that forgetful blue tang is back on the big screen in Finding Dory. On Thursday, June 16, 2016, the day before the movie officially opens in theaters, Dory’s biggest fans will have an opportunity to see both movies back to back with Dory After Dark. More than 90 locations in North America will take part in this one-night event, when moviegoers will be treated to a late-night screening of Finding Nemo before joining a select few fans as the very first to see the much-anticipated follow-up, Finding Dory. Kicking off at 9 p.m. (exact time may vary by location), Dory After Dark is more than a double feature, it’s a celebration that invites fans to dive in with Dory, Marlin and Nemo, plus new friends Hank, Destiny and Bailey. Guests will receive an event-exclusive Dory After Dark reusable bag and an “I Speak Whale” button. There will also be opportunities to share the experience throughout the evening with custom Snapchat filters.Tickets are on sale now. 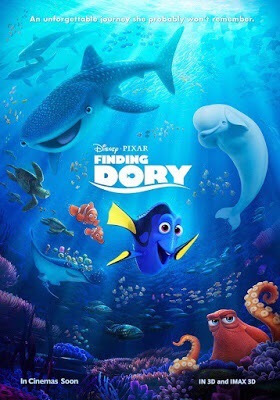 Here’s a list of theaters: https://ohmy.disney.com/movies/2016/05/31/see-a-double-feature-screening-of-finding-nemo-and-finding-dory-at-dory-after-dark. In anticipation of the release of Finding Dory, Disney presents the latest in their series of emoji-infused retellings with Finding Nemo As Told By Emoji.